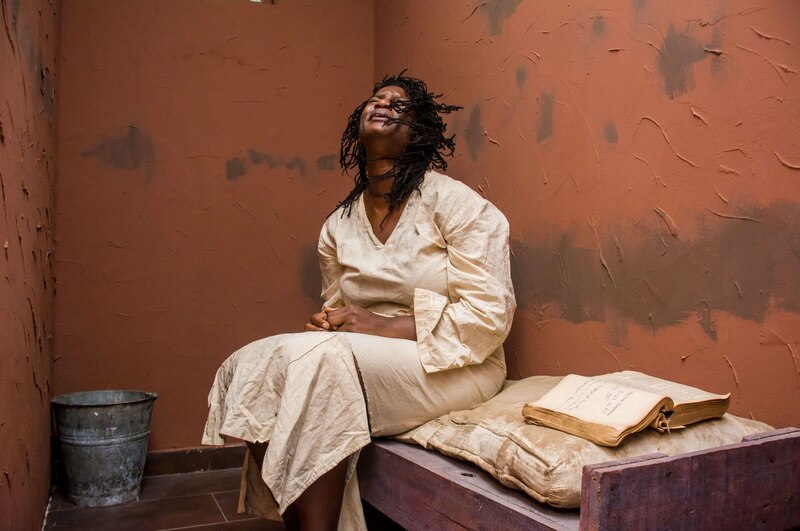 Become a Juror at one of the most anticipated shows at the Lagos Theatre Festival. 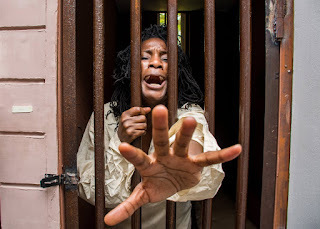 Lagos Theatre Festival founded by British Council in 2013, is a festival to present performing arts from Nigeria and the UK every February in Lagos. It has a part focus on presenting site specific work where over five hundred artists deliver the most thrilling performances to thousands of audience members. Esther's Revenge is a chronicle of events that led to a murder in 1953. Esther loved Mark with all of her heart, body and wealth. One day, Esther takes a pair of scissors and stabs Mark to death! 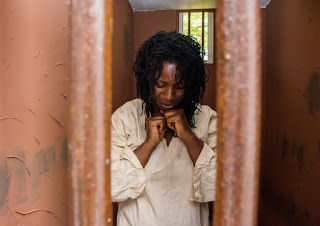 Join our Jury as we deliberate if Esther should face the Hangman's noose or go scot free. It is up to you our 12 jurors to decide this woman's fate. Her life is in your hands!!! 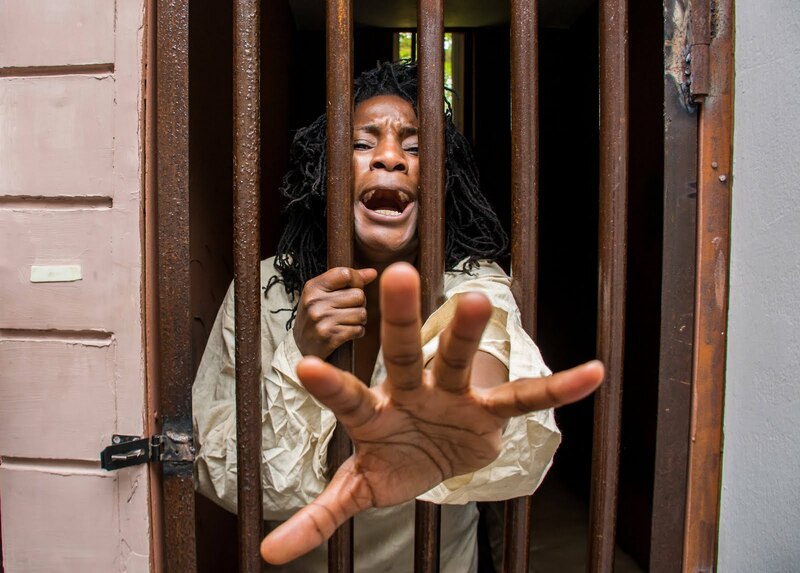 This performance was written and directed by the acclaimed theatre Director Kenneth Uphopho who recently directed "Our Son the Minister" and "Shift Lemme Faint" and was the director of the first performance of Saro the Musical 2. 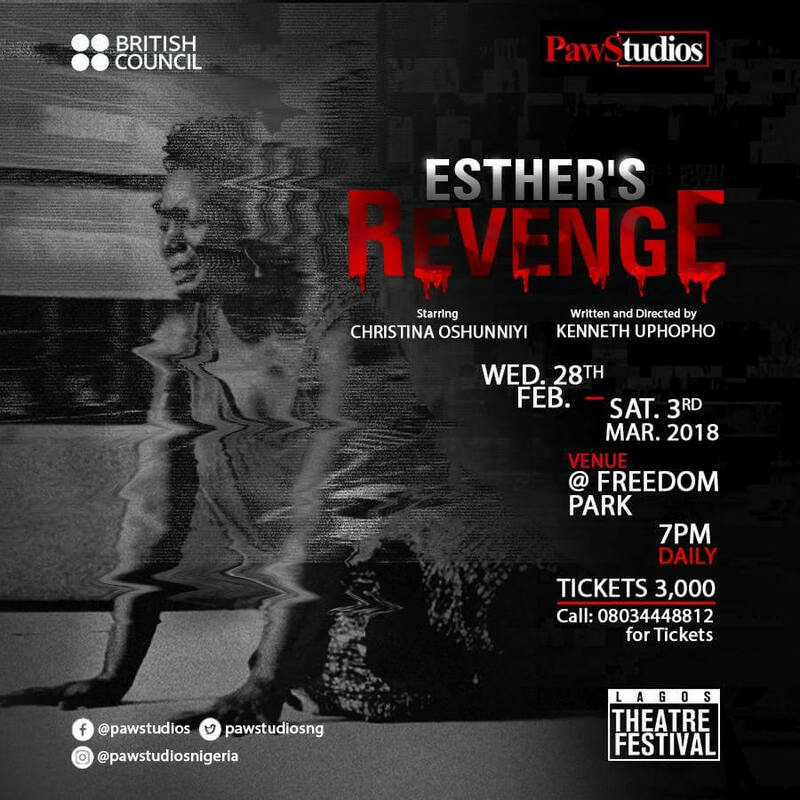 From Wednesday, 28th February 2018 to Saturday, 3rd March 2018 at 7pm each day, Esther will do her utmost to convince a jury of 12 to pardon her crime. 6 days 72 tickets, Esther’s Revenge is definitely at the top of the list of stage plays to look forward to at #LTF2018. NB: Ticket reservations are required as the performance can only take 12 people at once.